Rosemary Beach is a luxurious, walkable haven with spectacular views of the Gulf of Mexico. Perfectly positioned on the rapidly booming Florida Panhandle (please dont say Redneck Riviera") and just a few minutes drive from Panama City, RBs awesome beach is a heavenly helping of white powdery sand and soft shuffling surf. Footpaths, boardwalks and pathways connect a town center, shops, hotels and homes to that beautiful beach. Strategically spaced green spaces invite romping or reclining. Plenty of thought went into planting and cultivating local flora throughout. Each walk is an amiable encounter with native plants, including the wild rosemary for which the community was named. Wayfaring loners, couples, large families and assorted groups can find a wide selection of comfortable accommodations, from B&B rooms and studio flats to the many McMansions with five bedrooms or more, referred to as cottages and carriage houses. And if youd like, you can check into your digs, and never put your car keys into the ignition until your departure. To rent or for more information, contact Rosemary Beach Rentals or call 888.855.1551 Can you buy here? Can you ever. In fact, Rosemary Beach is not just any new place to holiday. Many houses available for vacation rental are actually owned by private individuals. There is a small but growing year-round residential community; and the whiff of pioneering in the fresh air. 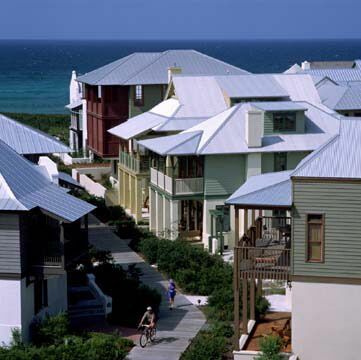 Rosemary Beach vigorously promotes its official status as a sustainable town, similar in intent to the more well-known town of Seaside (Fla.), less than 10 miles away. Sustainable communities, part of the new urbanism movement, are a reaction to and against suburban sprawl  ticky-tacky houses, Tweedle-dee, Tweedle-dum mazes and the arid anomie created by reliance on the automobile (a/k/a drive-by boredom). The big idea is to recreate the perhaps mythic small town or city neighborhood where you could walk to the barber shop or newsstand or restaurant or church, and a sense of community. Seaside, now over 30 years old, grew from the vision and will of iconoclastic architect Robert Davis. This town would not be ruled by automobiles. It became a talking point for visitors from all round the world, especially after Prince Charles brought the publics attention to planners of sustainable towns in a British TV documentary. Seaside inspired the Prince of Wales to create a new town, Poundbury, in the North of England. Historic Seaside deserves a long look. Its great open-air market sells everything from casual chic beach clothes to crispy pickles and lemonade, and youll see a lovely jumble of pastel colored houses, cobble-stoned walks, craft and art studios and vendors. You saw this town in the movie The Truman Show, starring Jim Carrey. Remember? If Seaside sprang from the brain chemistry of one determined individual, Rosemary Beach owes its origins to the PowerPoint presentations of one determined corporation. In the past, it was lucky and lucrative for investors: when house prices rocketed; those who bought vacation homes they themselves enjoy enjoy them still, regardless of straitened financial times. The housing bubble was a game-changer, but remember: RB is part of an upscale collection of 15 beach communities; still another community is in the works a few miles down the road in the other direction from Seaside. This does not mean Rosemary Beach is not on its way to taking its rightful place among the community of sustainable communities, but people are here to make (or try to hang on to their) moolah. You're not likely to run into an edgy art, music, or literary community to rock the world here.No Dylan or Sedaris or Alain De Boton. If you don't like talking about fishing, money or real estate, better pack your Who Stole Einstein's Office? book. Just saying. Some folks who worked on fulfilling and yes, sustaining the Seaside dream are on board with Rosemary Beach. After all, money should be fun. And people with money like it here very much. 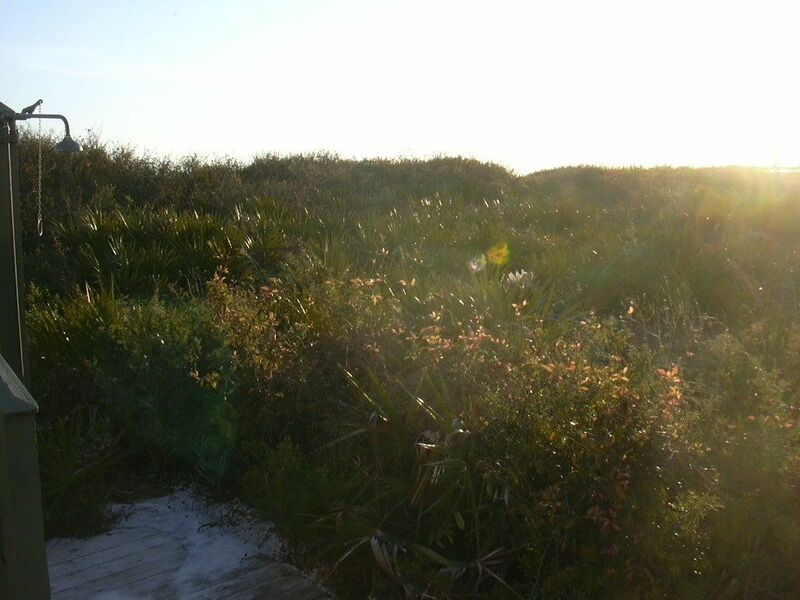 In November 2002, Karl Rove bought an empty lot, with his wife, Darby, from the Rosemary Beach Land Company for $!65,000 (this according to public records). A couple of years later, they built the house in Dill Lane, a 2,578-square-foot cedar and white stucco home with 4 bedrooms, 3 baths, and outdoor shower. There's also a two-story carriage house off the main house, in a walled courtyard,, which is the only bit you can see from the beach. This discreet compound was recently valued at around a million bucks, give or take., a little touch of Malibu right here in Panama City. Rosemary Beach has a fitness center, tennis courts, and four swimming pools. The Cabana Pool (with cabana-style dressing rooms) attracts families thanks to its separate childrens pool and playground park. 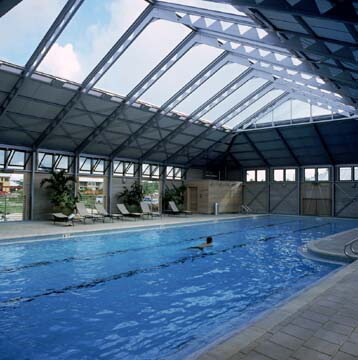 The open-all-year-round Sky Pool has a metal roof with motorized panels. It can be opened or closed depending on the weather. Jolly good, but it looks like a Podunk military base airplane hangar, and not a place to float prettily and backstroke your cares away. The Barbados Pool has a trendy no edge pool surface, but here not much thought seemed to be given to shade from the harsh Florida sun. And there is the Coquina Pool. Dont worry, baby, well just frolic in it at night and stay pale and interesting. The spanking clean Rosemary Beach Fitness Center (850.278.2200) is dreary, drab and, again, underdecorated for what we imagine to be RBs affluent demographic, but it is crammed and chockablock with new state-of-the-art machines. Add a Racquet Club (850.278.2061) and eight tennis courts (six illuminated for nocturnal volleys) and a pro instructor. To bike or not to bike. That's not much of a question. But there is a 18-mile long South Walton bike path that runs along the coastline; and should biking beckon, you'll find a wheel friend at Bamboo Beach & Bicycle Co. You can rent bikes for adults and children, baby joggers, scooters, burleys, wagons and bicycles built for two. Call 850.231.0770. A lagniappe for activity aficionados: Rosemary Beach is something of a year-round town and is home to a variety of events for locals. These include movies, concerts, yoga, exercise, and picnics, and not much else. All part of the charm.. Naturally, all the classic water sports - sailing, kayaking, snorkeling, Hobie Cats and swimming  are available. And of course there is the mighty beach itself. White sand, the waves, beach towels, sun, a plentiful supply of foot-dangling and stargazing opportunities. To rent sun umbrellas, hammocks and beach chairs, drop in on Sea Oats. It's on the beach near the Eastern Green walkover. For more information, call 877.207.0460 or email chris.webb@mchsi.com. And the houses are all spanking new  squeaky-new and spotless. Not a nick or crack anywhere. Even on the darkest moonless night, these houses are too new to have ghosts. Sleeping is a dream. In the morning the crisp blue sky and bracing winds from the Gulf remarkably revive the Travelers spirit. Give yourself a house tour. Some are for sale, some for rent. All are exceptional in their own luxurious, satisfying and sometimes quirky ways. But you cant beat the thrill of houses this new. If you are thinking of buying, the local realtor might take you behind closed doors. Its not fair, really. Traveler is sitting in the Nageotte Cottage in Rosemary Beach. Cottage is what the Rosemary Beach Development Corporation and the homes owner call this structure. Hansel and Gretel probably would quibble. It has five massive bedrooms, four full and two half baths, Family Room w/ Queen Sofa Sleeper & Large Bar Area, a fully-equipped, modern kitchen and, oh yes, a price tag of approximately $800/night or $5000-8,000/week. Private porches on the second and third floors offer Gulf views. The interior of our getaway hideaway is mysteriously calming. When an architect and designer work in tandem, the result is tasteful, proportioned and balanced. Everything is the right shape and right form. Ahh. If you do take a tour, the homes of the nouveax riches offer much in the way of amusement: the new rich kids on the block are historically famed for handing off the décor and design of their getaways to sadistic decorators with a penchant for kicky kitchy looks or themed interiors. Theres the $5.5 mil carriage house, lovely to the max, filled with garish gee-gaws and overstuffed upholstery that would be gloomy even for a castle in Ireland. Theres the charming little casita with enough arches along the hallway and muted stonework on the floor to evoke a monastery near the Escorial. And suddenly youll find a cheerful little house on the outer edges with cherry floors and friendly open spacescon a son gout, to each his own, but weve a quibble. The exteriors of the houses must conform to a planner-approved, strict-bordering-on-severe color palette. Colors include chocolate, dune gray, Spanish moss, sage green, moss olive, pus, pecan, fall straw, mustard, Atlantic spray, summer glow, ca-ca and terra cotta. Navy. Khaki. Plum,. Offwhite, black. Texans, we are told, like beiges and browns; Georgians like woodsy greens. No primary colors and please, no pastels. Thats another distinction between Seaside and Rosemary Beach. Seasides buildings look like a pretty spray of Necco wafers. 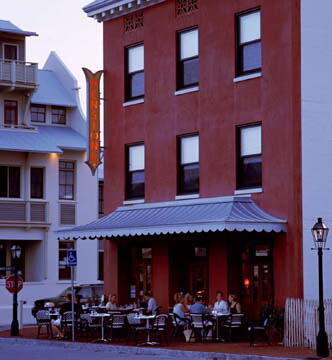 Rosemary Beach's planners prefer a "more classic, coastal look". Building designs reflect the original owners tastes and dreams, with guidelines for 12 basic building types: Arcade, Flats, Live/Work, Courtyard, Townhouse, Sideyard House, Small House, Large House, Park House, Beach House, Beach Cottage and Large Courtyard House And,there are stipulated materials for exteriors. For example, structures that face pedestrian boardwalks make use of wood siding, cedar shingle or stucco (true masonry) with metal or shingle shake roofing. Even though you are left alone, you never need fear that you are on your own. The Rosemary Beach Cottage Rental Company offers concierge service. If you need something call the office. The service can begin before you even set dainty foot on the polished hardwood floor. The concierge will have everything waiting. The beach is lovely; the surf steals your heart; houses offer grace, comfort and luxury. In other words, dont come here for the food. Exceptions to this observation do exist. For example, we had a lovely breakfast at Onano (850.231.2436), located in La Pensione yogurt, applesauce, fresh fruit, toasted pannetone, strong coffee and cappuccino. Dinner, however, disappointed. Then, theres the big question. Is it not a bit ironic to have such a wonderful walkable getaway without including a wonderful takeaway or even sit-you-down? Courtyard Wine and Cheese (850.231.1219) is a friend to the inn crowd. Along with the wines, it serves cheeses in its tasting room which spills nicely into its outdoor Gourd Garden Courtyard. The shops stock is kept at the proper temperatures in environmentally controlled storage. Carpenter's Main Street Market (850.685.1882) is a tiny market in the town. It boasts limited, small quantities of fresh produce, baked goods, specialty items and salty snacks. We found its supplies to be scarily skimpy not even a yogurt. And lets not dwell too much on The Summer Kitchen Café (850.231.6264), which proudly lives up to the spirit of beach shacks all along the Florida Panhandle, serving sandwiches, salads, burgers and rollups. Breakfast scared your Traveler. You want scrambled eggs, do you? Plop! Down comes the big white plastic bait bucket from over the stove. They ladle the already cooked scrambled eggs outa the plastic bucket. None of this break eggs open stuff. You want boiled eggs? Forget it! The only egg source is that bait bucket. And the eggs are cold. We understand the restaurant is also open for dinner as Blue by Night, but wed seen enough. Don't forget Karl Rove's local hangout when he's in town Bud & Alley's, a casual spot that has been feeding locals since the town of Seaside's beginnings 1986. Okay, what do we eat? No Chinese. No deliveries. Were panicking.. Were so tired. We cant move. Pillow, chaise longue. Balcony. Sea view. Navy sea. Aqua sea. Hey- were on vacation. . What about Mickey Ds? Oh, none of that, now. This is a planned community and theyll have none of that crass, commercial, corporate caper here. Why not? Were starving. Then theres the cook-it-yourself option, not unknown to travelers who stay in a home away from home. 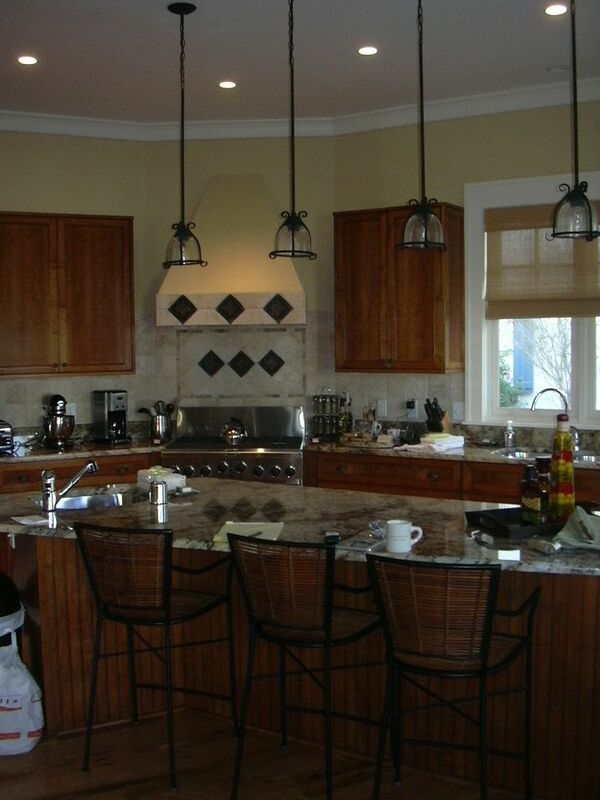 The kitchens weve seen in Rosemary Beach are wonderful. Thank heavens for the new Publix that opened just a few miles away. Make one little dash onto the highway, procure a trunk full of groceries (why not include a few frozens and prepared meals) and then hunker down. Better: Bring suitcases stuffed with Whole Foods back home. None of that stuff around here either. Rosemary Beach is a mélange of hopeful dreams floating on the minds of investors, residents, renters and travelers. We happen to be travelers. We dont mess our pretty little heads with wondering if the place where we spend the night gives good ROI to the people who own it. We dont look behind the curtain to see just what the Wizard is really doing back there. We prefer the sleight of hand, and yes, the Magic, thank you very much. So we can report Rosemary Beach offers profound natural pleasures to the traveler  catch some Zs in a multimillion-dollar mansion; walk to the essentials  the shops, a wine bar and the sea.